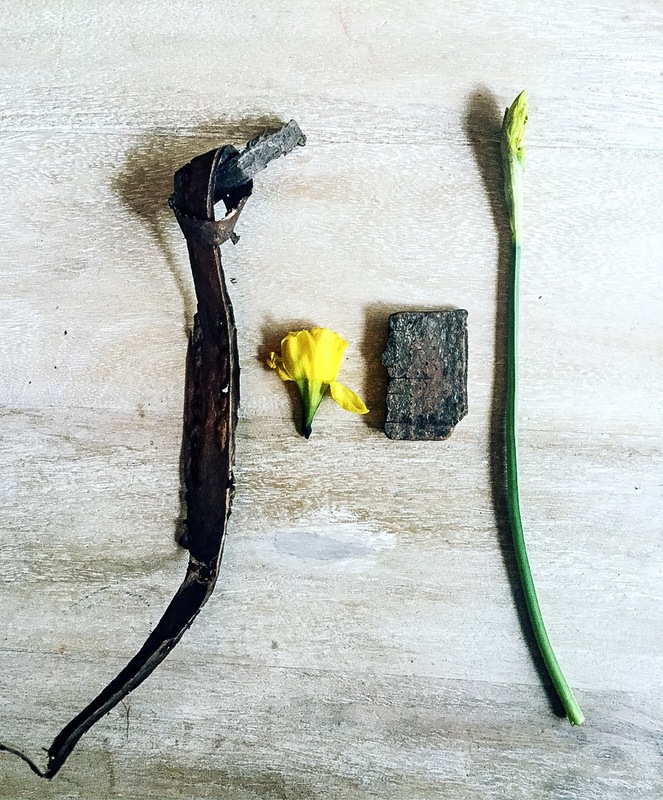 For the last year I have been documenting my daughter's intuitive practice of collecting treasures from the natural world. 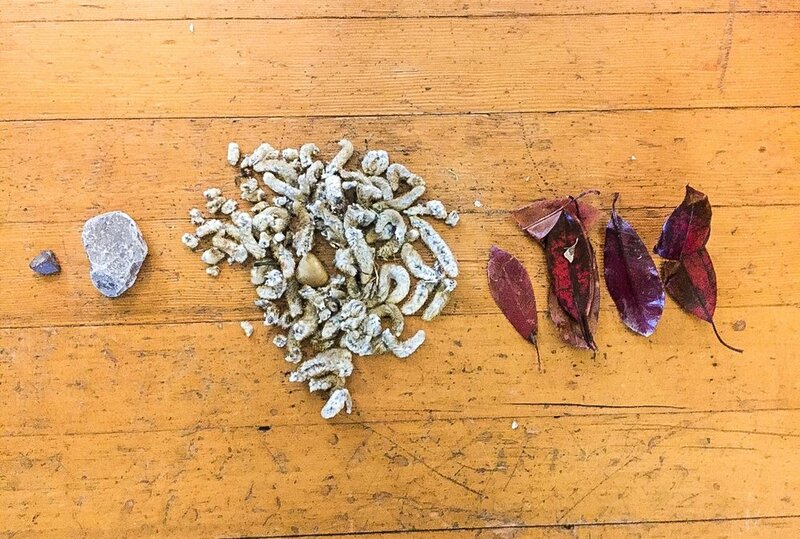 Her pockets, satchels, backpacks, and now what I've learned, even her school cubby, are always lined and stacked with leaves, pebbles, sticks, or petals. She sees the more-than-human world with clarity and attention. Walking with her in the woods might take double the time as she fetches and gathers in response to impressions to collect and adopt she receives from the plant-world. She has very little membrane of separation between herself and the outside world and understands that she belongs to this otherworld as much as it belongs to her. My daughter doesn't see her impulsive behavior so much as a taking, but as a surrounding, a gathering of sensate beings with whom she belongs. This way of being with the world has brought the exterior world into our home in very literal ways. Most window sills, ledges, and shelves display the intricate and unparalleled beauty of nature. Collections of pinecones, sticks, stones, shells and decaying leaves are now constant reminders of rhythms of life and patterns of how we should be postured on this planet if we are to have a regenerative presence. I wash dishes in the company of deciduous leaves, becoming more mindful of how trees utilize water economically and take not more than they need. I put my children to bed next to window ledge's lined with sea shells, being reminded of how these shells once too bedded a creature in the deep sea. How does my life impact the maritime home of these creatures? I do my work in an office abloom with the semblance of spring flowers, now all dried. What can I learn from the fleeting beauty of these blooms? Perhaps they whisper to me something of that work must not always be in production, but have times like when even the flowers rest. "Blessed are the humble for they are close to the sacred earth." To be humble is to be close to the earth, in relationship with the more-than-human world, and to read the revelatory text of creation. To decorate one's home then with the bounty and the beauty of the backwoods within our lives, is a way of reminding us of how to receive the blessing of the sacred, wild world. Anna's school cubby, filled with forest-finds from the park near her school.